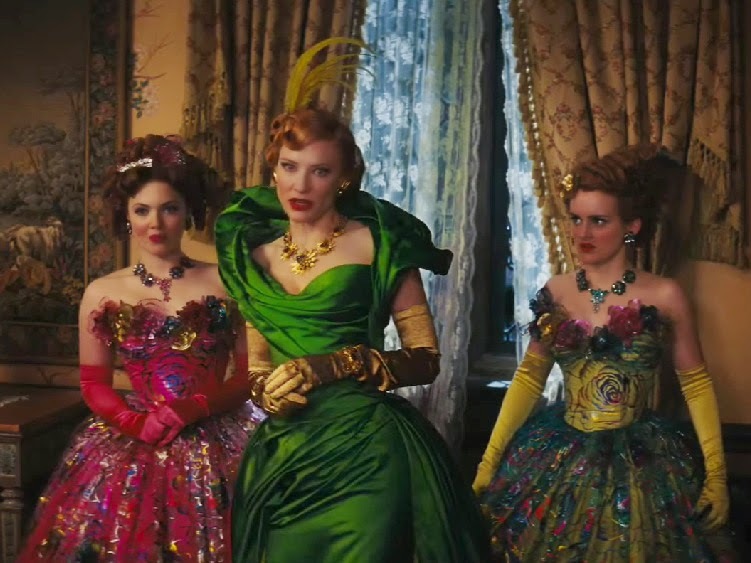 The kids and I went to see Cinderella on Saturday. 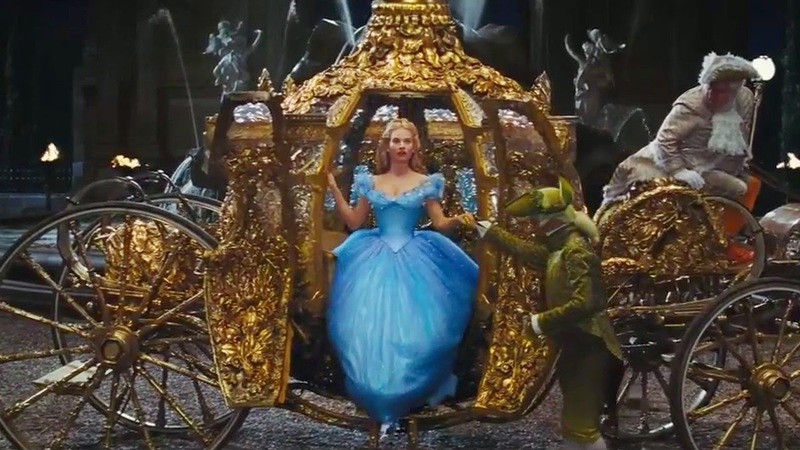 I was intrigued by the trailer for the movie, Lily James (Lady Rose in Downton Abbey) as Cinderella, and a few reviews by friends who LOVED the movie. My verdict and the verdict of my girls? We LOVED it, too, here's why. It is beautifully filmed. The house that Cinderella grows up in is so beautiful - full of beautiful things, maps, a glass swan chandelier, gorgeous walls. We see Cinderella and both of her parents. 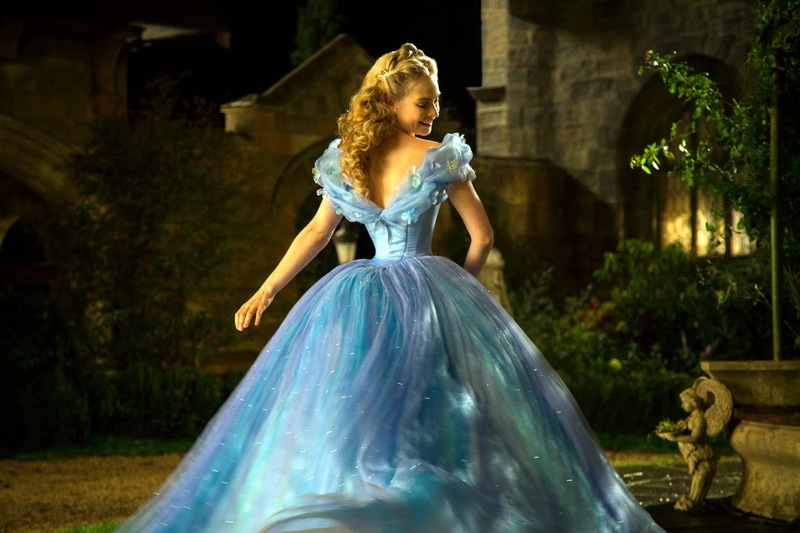 When she is 10 her mother suddenly becomes ill and before she dies she tells Cinderella that two things will help her in every situation she may find herself in during her life. The first is to have Courage and the second is to Be Kind. Young Ella takes these two lessons to heart, and applies them all through her life. Her father remarries, and her stepmother arrives with her two daughters, Drucilla and Anastasia. Drucilla is played by Sophie McShera, who plays Daisy in Downton Abby. They are more comical, though they don't think much of Ella and after a night of sleeping by the fire to stay warm, they begin to call her Cinderella. Her stepmother is played by Cate Blanchett. They think highly of themselves, and feel Cinderella with her romantic way of seeing life, is hopelessly old fashioned. The stepmother is more manipulative than cruel, and because she has debt from her first marriage she is eager to see one of her girls marry the prince. 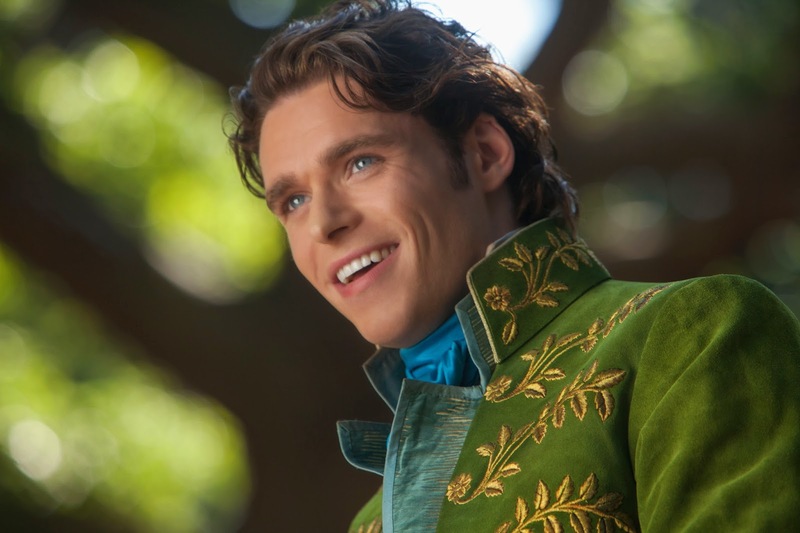 Ella meets the prince in the woods one day while horseback riding, and he passes himself off as an apprentice, not a prince. She shares with him the idea of having courage and being kind. He is quite taken with her. His relationship with his father is a beautiful one. They love each other and his father is very ill and on his deathbed tells him to marry the girl he loves, rather than a princess from another country. The son curls up on the bed next to his father and weeps. I loved that they showed them really have a wonderful relationship. I could go on and on but I'll end with this. When the prince puts the glass slipper on Cinderella's foot and they are heading out the door, Cinderella turns and says to the step mother without any malice, "I forgive you." And then goes off with her prince to marry and live happily every after. I really liked the message of not feeling sorry for oneself and of having courage in hard things, and choosing to see beauty and love, in spite of circumstances. I loved the freely given forgiveness. Go see it even if you don't have any kids to take with you, I think you'll like it very much! Yesterday, was a windy day here. It caused some havoc with our horse pasture fence and while we were at church the horses got out. Kind neighbors worked hard to get them back in and made sure they couldn't get out again. We came home to an area of fence that was completely down as well as 3 fence posts. This is due to old posts, windy conditions and water saturated ground. We also came home to a very flat tire on Tim's truck. It had lots of small holes in it and he found a tack in one, so he is certain that when he was out doing errands on Saturday he ran over some tacks. He was able to fix it and its just fine now. Good thing, too, as Monday, while were were out, our vans transmission stopped working. It seems to be a cellinoid as it would go again after being turned off - like it was able to reset itself for a brief time. Thankfully we were able to get were we were headed and also get a ride home. Thanks, Dad! Tim worked his first work day at his new job, Monday. We are praising the Lord for His watchful care of us, in all these crazy situations from the weekend, and today. He KNOWS the why of it all, and will provide everything we need. So thankful for this wonderful Friend, to whom we can take every need! Some of my friends (actually luncheon club friends) are planning a trip to see this movie later in the week. (Not a child among us yet to take to it so we're going as a bunch of grown ups). IF I'm in town, I plan to go too. After your review, I am positive that it is a movie I NEED to see. Struggling with unforgiveness is the single hardest spiritual journey I have ever been on. It's harder than any other battle I've face thus far in my life, too. When you add to that that Cinderella is my favorite princess, this movie fits me like a glass slipper right now. It's been a long while, but it's nice to visit this morning. It's interesting to see one or two cast members from Downton Abbey appearing in other productions together. I'm glad there was a message in the movie, I haven't talked to our granddaughter yet to hear her feelings about Cinderella but I'm sure she loved it. Well, Deanna, you have been so successful describing this movie that now I want to see it. Certainly can't say that I had given it much thought before. I thought so! 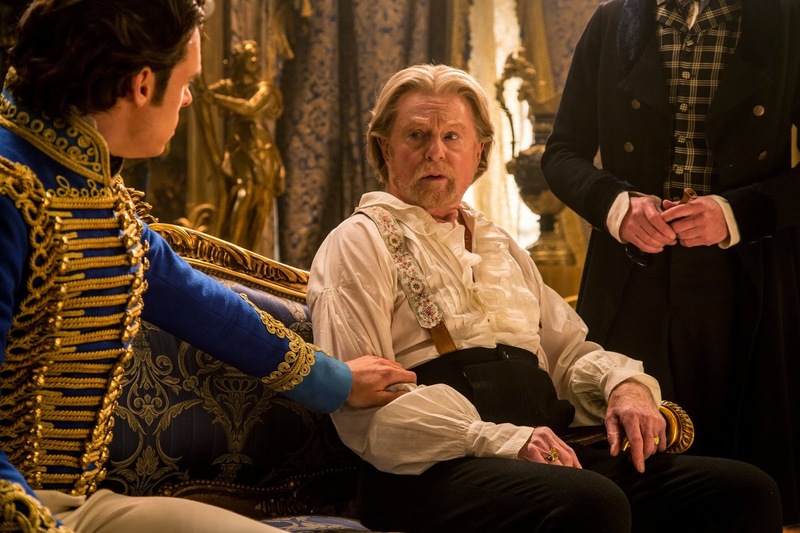 But had to check...the prince's father is played by Derek Jacobi...a favorite of mine, though I am not enchanted with the sitcom he stars in. Ahhhhhh...the girls and I went on Sunday evening and we loved it too!! It was a beautiful movie! I adore Rodgers and Hammerstein's Cinderella (also beautiful, and such gorgeous music), so I expected that I'd simply enjoy this Disney version...but it exceeded my expectations. 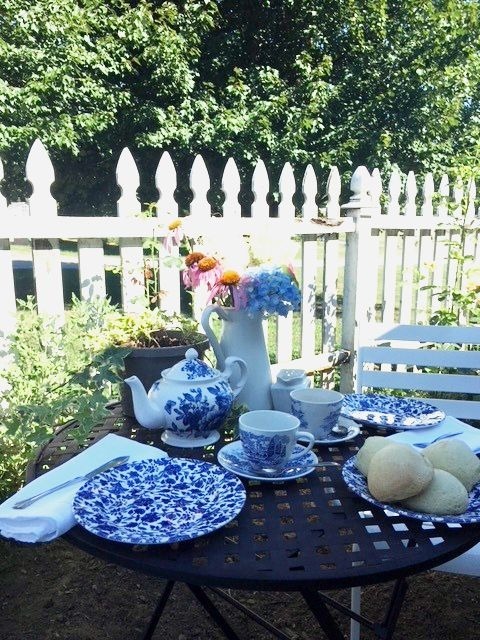 Wow...you have had a lot of things going on at your place! How comforting to know that He is always caring for His children! Praying for His continued provision for your needs! Thanks for the review. Yours is the second one I've read. Both were sterling, but I appreciate that you went into more detail about why you liked this movie. Sorry about all your troubles! It's so wonderful to have a God who CARES about his kids. I read a review that said Mr. Disney would be proud of his company with this movie. I'm taking my GD this weekend and I think at nearly 7 it will be fine. We have play acted the story so so many times. I'm sorry about your weekend, seems when it rains it pours but all turned out well. God is good. I make changes often too. I like the subtle change ups. Glad to see your review on Cinderella. I am planning to take my oldest granddaughter.